Samuel Miller paints traditional iconography of his land, east of Kalka. 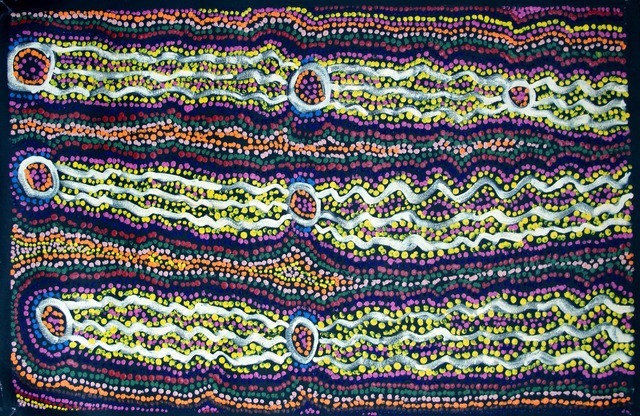 Rockholes, creeks and hills feature in his paintings, all immersed in tjukurpa (dreaming stories). His land is a sacred men’s rockhole and the name is not to be written down. His colour pallette is drawn from the carying colours in the landscape surrounding Kalka and used in a rainbow like patterning.